Purchasing and installing or replacing your garage door in Tampa is a big decision. This is because it is usually a considerable investment, will affect the overall aesthetics or look and feel of your home as well as ensure your safety and security. To help you make an informed decision, contact A1 Garage Door Service in Tampa at 813-575-2800. We will guide you every step of the way. At the end of the day however, your decision on your garage door in Tampa should be based on your needs, practicality, lifestyle and most importantly, budget. In all of these things, A1 Garage Door Service in Tampa will be your companion. We will provide you with recommendations on what will suit your needs and budget. A1 Garage Door Service in Tampa carries different brands and makes of garage doors. We are confident that whatever brand or type of garage door you are interested in, we can supply it. Furthermore, we are experienced in installing any type of garage door; including maintaining, replacing or repairing any of its components. RAYNOR — Raynor has been in the business of manufacturing high quality garage doors and openers since 1944. 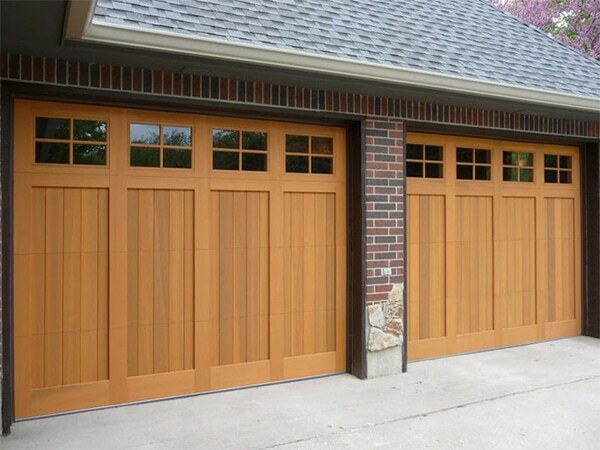 They pioneered the development of steel garage doors for residential use. Their collections of residential doors are made of superior quality, unlimited versatility and are a product of their commitment to innovation. Whatever material you want for your garage door — wood, steel, aluminum, copper, vinyl etc. — trust that we have it for you. What’s more, our team of technicians in Tampa are fully trained and experienced in installing whatever type of garage door you prefer. Contemporary — Contemporary garage doors usually make use of glass for clean lines, sleek and modern look. A1 Garage Door Service carries stunning contemporary glass door designs that may be tinted or paneled, in order to showcase the beauty of your home. The sleek lines and modern appeal of glass and the way that the sunlight hits it will indeed provide a very contemporary feel. Oftentimes, to achieve that exciting look, we use glass with steel, faux wood, handcrafted wood, aluminum or vinyl. Note also that all of our contemporary designs are coupled with innovative features and the latest technological to enhance its durability, performance, protection from the elements, wind etc. Do you want a specially customized garage door just for you? We can help you out. A1 Garage Door Service in Tampa offers customized garage doors that harmonize with and reflect the character and personality of your home. We will work closely with you to develop a design that will have an impact and will enhance the natural beauty of your home. Call A1 Garage Door Service now in Tampa at (505) 365-031 for your customized garage door.